Who said rugged watches have to be pricey? As picking up an outdoor smartwatch can often prove to be a pricey venture, a new crowdfund campaign is looking to give hikers a device on a budget. 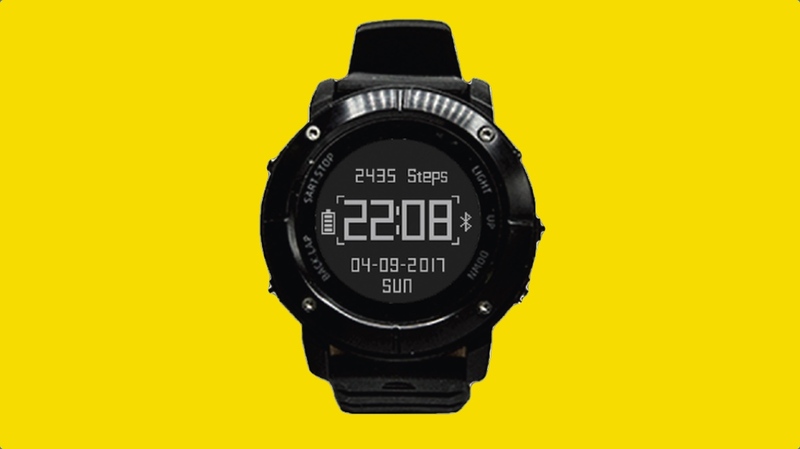 UWear provides the usual metrics, such as step counting and calorie burn, while also coming packed with GPS, GLONASS and BDS. The smartwatch is currently featuring on Kickstarter for HK$768, which translates to roughly $100, before an eventual retail price of around $200. A compass, barometer, altimeter, thermometer and hygrometer are included, too, for those looking for sensor overload. In terms of features, you'll be able to use Return Cruise to mark a starting point and then be directed back on the watch, or Maze Escape to find your way back to the start when you forget to set a specific point. The company also claims the watch can last 45 days on a charge, despite its always-on display, and resist water up to 10 metres. And as well as picking up email, call and text notifications when paired with a smartphone, the device also offers ten sports modes to help branch it out beyond hiking. If you're out cycling, your speed and distance will be calculated, for example, while those on the golf course will have their strokes tracked. Of course, with so much being promised by the folks at UWear, the question now becomes whether it'll be able to turn around deliveries to backers in time for a delivery projection of August. And while shipping the device can often prove to be the most challenging aspect of the crowdfund process, whether UWear is able to pack this much into a budget device that's as convincing on the wrist as it is on the spec sheet remains to be seen.